Ssangyong Motor, part of the US$15.4 billion Mahindra Group, today unveiled the company’s environmentally friendly and futuristic electric concept car, the e-XIV, at the 2012 Paris Motor Show. As part of efforts to develop next-generation technologies and eco-friendly automobiles, Ssangyong Motor Company showcased the range extender concept e-XIV, which is expected to be a globally competitive model, that lays the groundwork for future growth. 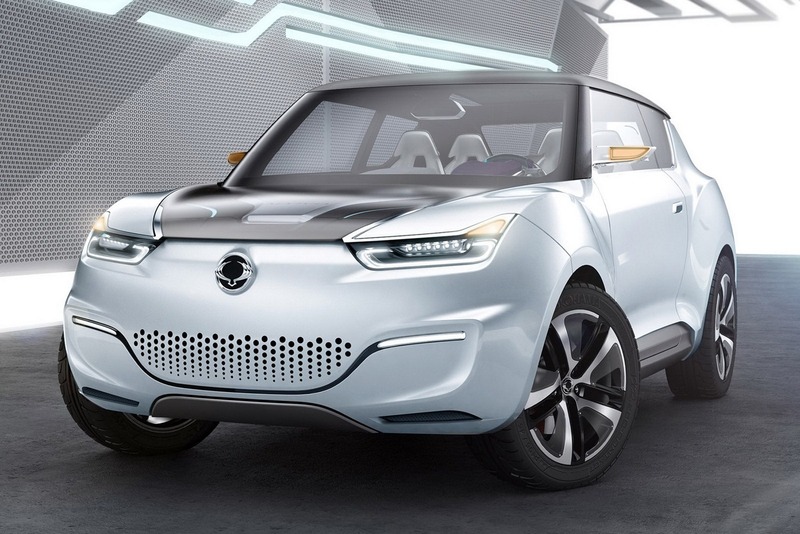 The e-XIV uses an 80-kW Permanent Magnet Synchronous Motor (PMSM), giving a range of 80km by taking power from the 16-kWh lithium-ion battery. Four hours are required for charging a fully discharged battery and 20 minutes for quick recharging. The car also features a range extending system comprising of a two-cylinder 1,000cc petrol engine and a 20-kW generator. Once the 80km distance has been achieved, the petrol engine supplies additional power via the generator to extend the range up to 600km, emitting just 45g/km of CO2. The e-XIV’s glass roof solar panel converts solar energy to electric power and operates interior equipment such as the air conditioning, audio system and internal lighting. Drivers can also select their preferred method of driving by activating the car’s VCU (Vehicle Control Unit) via a smart phone or a remote control. 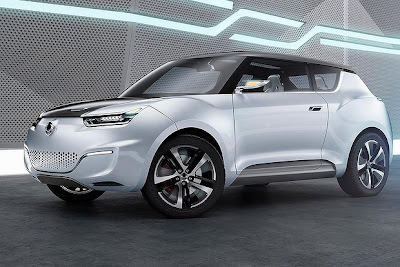 The e-XIV features a crossover design with a combination of SUV and sports coup? styling that is suitable for both active driving in the country and short distance motoring around the city. With its rich side body volume and simple, modern lights, the e-XIV looks dynamic and progressive, presenting a contemporary look that would appeal to younger drivers. 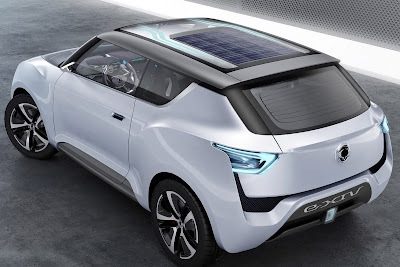 Functional features of the e-XIV are finished in a simple, sleek style, while the high-tech solar cell panel applied to the glass roof maximises the emotional connection of driving in the open while enjoying the thought that ‘free’ solar power is being harvested. Inside there is a four-bucket-seat configuration to provide comfort and privacy for each passenger. Each seat can be positioned to create a variety of seating combinations and a choice in space utilisation. The interior structure evokes the sporty style of a crossover, blending a mix of styling cues and materials including carbon fibre. The instrument cluster sports dynamic graphics, and enables active communication between the car and driver by displaying necessary information on the centre fascia in real time. 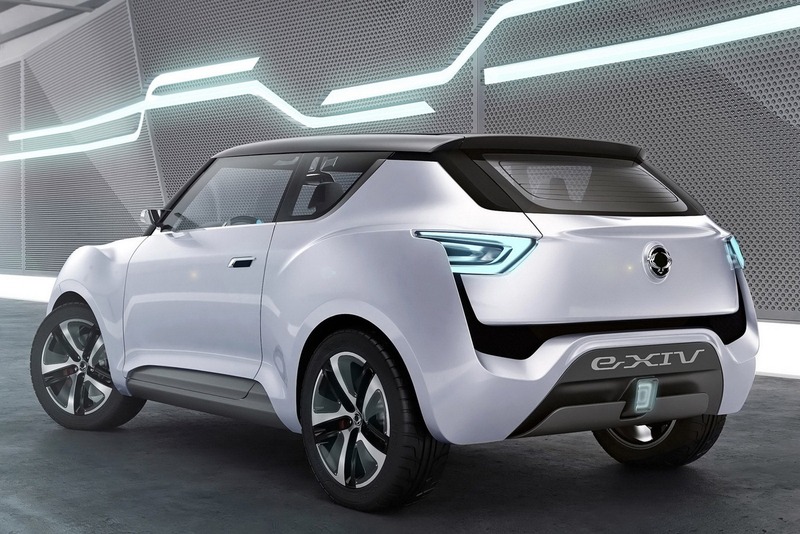 The e-XIV also combines the ‘Auto User Interface’ of the previously shown XIV1 and XIV2 concepts, to offer a new direction for the car as a moving communication space by combining the latest IT developments in automobiles and personal smart devices.